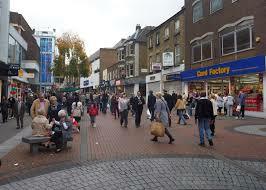 Sutton is a large and affluent suburban town situated on in the North Downs in South London. It is part of the county of Surrey. It is notable for its six displays of public art: Twin Towns Mural, the Heritage Mosaic, Wellesley Road Mural, Armillary, The Messenger and Transpose 2002. Sutton is also a centre of film making activity in south-west London. Sutton is served by the A232, A297 and A217 roads. There are three railway stations: Sutton station, West Sutton and Sutton Common. Lanes School of Driving was conceived in 1914. Lanes has been teaching locals to drive ever since. Growing through word of mouth, Lanes developed to become one of the largest independent Driving Schools in the UK. Lanes is well known in the local community as a centre for excellence in driving instruction. Structured driving courses are offered to all students which are designed to be flexible enough to meet each student’s particular requirements. Students have many demands on their time and have trouble fitting lessons into their schedules. At Lanes we allow students to arrange lessons around their other commitments. Students are allowed to learn at whatever pace they wish. Lanes is a strong advocate of one-to-one tuition and students are able to learn without the distracting presence of others. Lanes has a selection of modern and fully equipped cars for our students to chose from. Students can be picked up from their front doorstep prior to each lesson. Lanes have been providing driving lessons in Sutton, Surrey for many years. Please call us today on 020 8166 5678 or click here to send us an email via the contact page. Lanes is staffed by a team of highly qualified and experienced driving instructors. Each instructor is a DSA registered Approved Driving Instructor. Many of our instructors started with Lanes at the outset of their careers. At Lanes each student is assigned to an instructor who will continue with them until they have passed their test. In our experience this engenders a close bond between the student and instructor that expedites the learning process. Lanes have a team of driving instructors in Sutton, Surrey. Please call us today on 020 8166 5678 or click here to send us an email via the contact page. Learning to drive for the first time can be scary. Female students feeling anxious and self-conscious may not want to learn with a male instructor. With this in mind, we offer female driving instructors as an option to our female students. Our female driving instructors are calm and gentle. They do not pressurise their students. Thus female students are able to enjoy their lessons and concentrate on their driving. Lanes have a selection of female driving instructors in Sutton, Surrey. Please call us today on 020 8166 5678 or click hereto send us an email via the contact page. Many students do not want to learn in a manual car and express a preference for automatic. Experienced drivers often argue that manual cars give greater control. Nevertheless automatic cars are definitely less daunting for a beginner. Stalling is a problem area when learning to drive. Fortunately automatic cars are designed not to stall. Automatic cars are easy to learn on on students will find themselves driving with confidence in no time. Lanes have a selection of automatic driving instructors in Sutton, Surrey. Please call us today on 020 8166 5678 or click here to send us an email via the contact page.